From the moment Netflix revealed their plans for The Crown, we knew it was going to be a wildly ambitious drama series. But it’s only now that the critically acclaimed show’s changing things up for season 3 that its scale and scope is really being put into perspective. At the center of that impending transition is former Doctor Who star Matt Smith, who will vacate the role of Prince Phillip for Tobias Menzies. The latter’s just one of many newcomers to Netflix’s plush regal drama, of course, as he’ll be joined by Olivia Colman and Helena Bonham Carter, among others, and it’s those aforementioned actresses who are the focus of a new set photo today. Seen in the gallery below, the two stars (who’ll be playing the Queen and Princess Margaret, respectively) are shooting Winston Churchill’s funeral scene. Or so says Hello Magazine, who point out how similar Carter and Colman look to their real-life counterparts. If you don’t believe us, just check out the second photo we’ve included and compare the two. 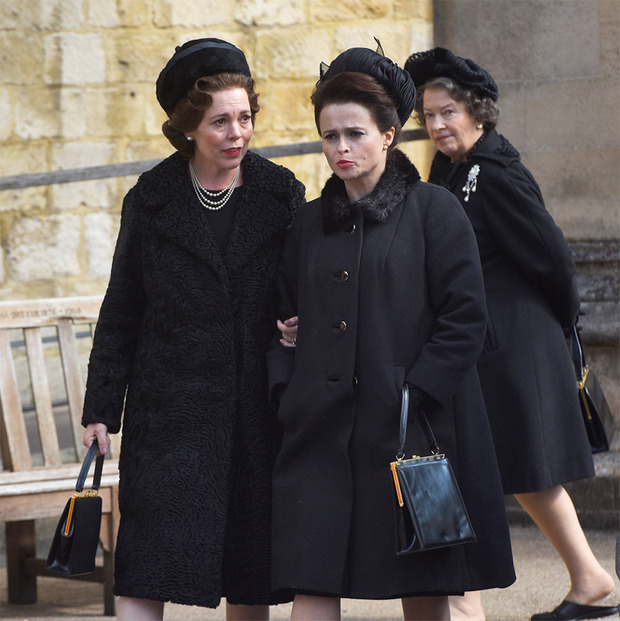 As for what The Crown season 3 will entail, producer Suzanne Mackie hinted a while back that fans can expect to enter a brand new era, as we follow the journey of Queen Elizabeth and her sister Margaret through Buckingham Palace and beyond. Expect the arrival of a new generation of characters, with Prince Charles, Princess Anne and Camilla. Season two depicted the late ’50s and early swinging ’60s, and with it introduced a whole new mood and atmosphere. 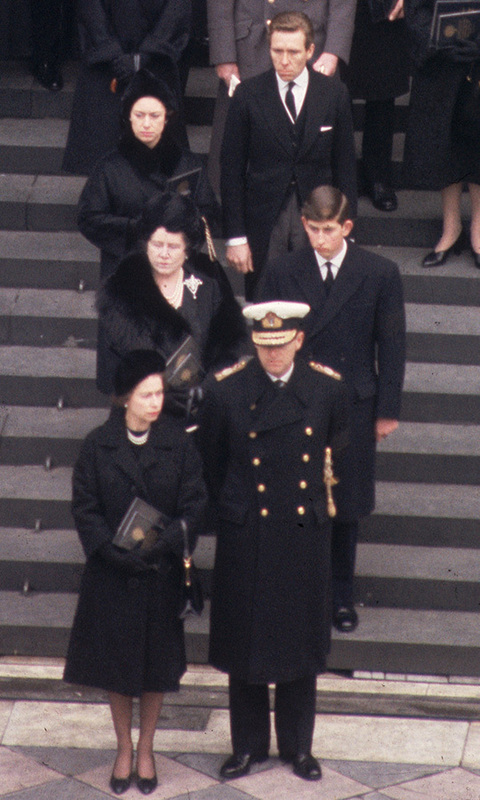 Princess Margaret and Armstrong-Jones embody these sociopolitical changes. Production on The Crown season 3 is now well underway, as evidenced by all the recent set photos, and though an exact premiere date still eludes us, we’ll let you know as soon as Netflix announces something. In the meantime, keep your eyes peeled for more snaps from the set, as more are sure make their way online over the coming weeks.